Are you tired of a full schedule that is void of substance? Do you want more Freedom, Independence and a Self-Sufficient lifestyle? 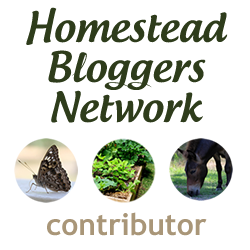 Does Homesteading appeal to you? In this article of 10 Homesteading resolutions to make for 2016, Homesteaders from all over the country from all different walks of life have shared their knowledge to help get you started towards your Homesteading goals. From a windowsill to a field, growing food helps create food independence and a sustainable lifestyle. There is something empowering about sowing a seed, nurturing it to ripeness then sitting down with your family to a home-cooked meal, with food your soil and hands produced. Now meal time consist of a drive-through and comes out of a box. Our children have become disconnected with their food source, hardly recognize real food and have no idea how to follow a recipe. Because food is so important for survival, food preservation is one of the oldest technologies used by human beings. When preserving food, you are not just canning or just dehydrating food, you are insuring you will eat tomorrow, preserving your harvest, and saving money. To learn more about food preservation, read the articles below. You can also check with your local Extension Service to see if they have any classes available. Everyone’s decision to Homeschool is a personal one, and they are all different. When my son was in first grade (he is now 21), the teacher bullied him, horribly. The school refused to do anything about it (he came home with a hand-print bruise on his arm), I took him out and began our homeschool journey. Over 20 years ago we had a foster child with behavioral disorders who required us to homeschool as well and now my 14 yr old daughter is being homeschooled for the first time. Our children have been in public school, private school and homeschool, each school had it’s advantages and disadvantages, you have to make the right decision for you and your child. The American Dream (or Worldwide Dream) to own their own Homestead. The first of the acts, the Homestead Act of 1862, opened up millions of acres. Any adult who had never taken up arms against the U.S. government, could apply. Women, blacks, and immigrants were eligible. The Homestead Acts were several United States federal laws that gave an applicant ownership of land, typically called a “homestead“, at little or no cost. Now owning your own homestead seems like a fantasy you get to day-dream about on your coffee break at work. But owning a homestead might be more obtainable than you think. Read the advice from people who are living the Homesteading dream. It’s not the brush, but the artist. Ever heard that before? While that may be true with art, it doesn’t always ring true with the Homestead. Having the right tool for the job can help save you time and money. Read the suggestions from Homesteaders to start your tool collection. Don’t let land stand in your way of owning livestock (although some laws may, so check you local laws before you buy). I already told you that you don’t need a lot of land, and it’s true. Provided that your state/county/city allows you to have livestock, there are a lot of animals you can raise for sustainability in a small area. For instance, we live on just over 1/4 acre and have two milking goats (who are both pregnant-Yippee, baby goats! ), 10 chickens and honey bees. We have fresh milk, cheese, eggs and honey. We could have meat but my livestock are considered pets with benefits at the moment. Other options to consider are pigs, fish, sheep, rabbits, turkeys, guineas, quail, and ducks- just to name a few. If you are living on a budget, learning to do things yourself is a vital part of financial survival. being able to do something yourself without calling a specialist or going to the store is not only empowering but it could also save you thousands. Once you perfect your skill or trade, you can turn it into a money-making opportunity to help support your family. With great knowledge comes great responsibility. It is our responsibility to share the knowledge we have with others, pass it down to our youth so they can live an independent (not co-dependent) life. Homesteaders look out for their neighbor and fellow man. They still have a cup of sugar to borrow, you can call them in the middle of the night when your goat is getting ready to kid, they will pray for you when you ask, and they will show you how to make that amazing casserole they made (without leaving out the secret ingredient!). So start a 4-H club, offer tours of your homestead, teach workshops on how to make bread, and share your sourdough starter. There is always room at the top for everyone so take as many as you can with you. There is a common creed that all homesteaders live by no matter where they live or what profession they work. The creed that many use to define a homesteader’s heart. To live a self-sufficient lifestyle. To be good stewards of the land. To reuse, recycle and make do. To pass on homesteading skills. Although there are not any established set of rules for homesteading. The one thing we all can count on is homesteaders across the country care about living an authentic homesteading lifestyle, not complicated by today’s fast-paced, technology laden lifestyle. great article and great resolutions!! Love the list!! Sounds like some great resolutions, and some great links to get the job done! Thanks for including a couple of mine. :) Blessings in the new year! Thank You for providing wonderful content for us to share, keep up the great work! What an extensive list! If only I knew everything on it... Thank you for sharing. I always say it's a marathon, not a sprint. I hope to still be learning new things when I am in my 90s. Thanks so much for including one of my articles! Wow! What an inspiring list. Thanks so much for including our sewing article. Thanks for the mentions. This is a great list, and the chicken photo is adorable. Thank you for providing amazing content for me to share! Honestly, I could have pulled 90% of this information from your site, but I had to spread the love.